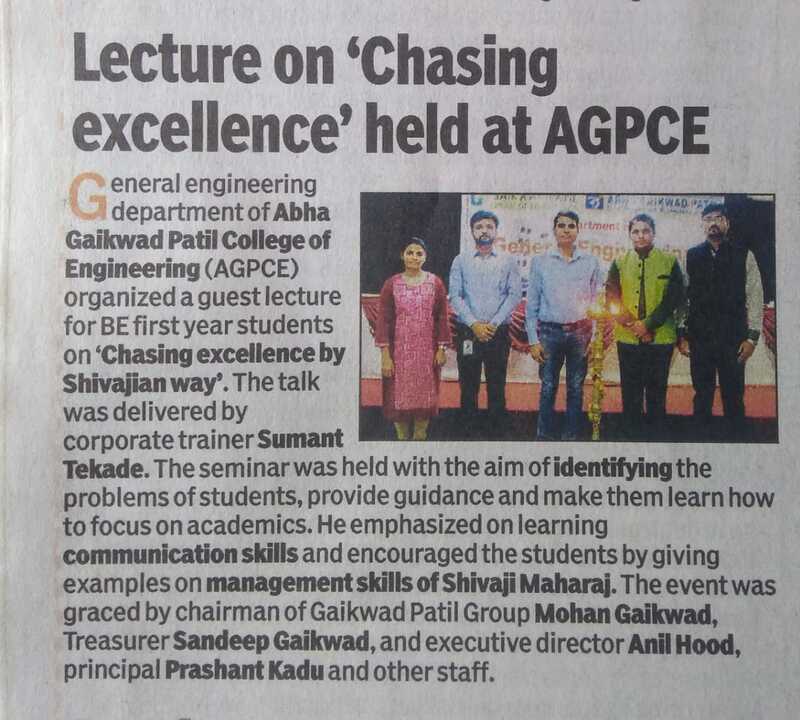 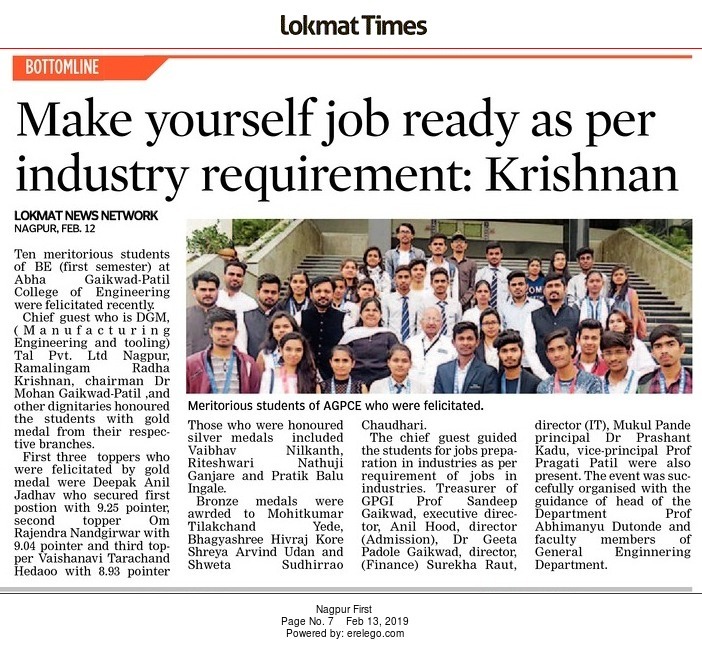 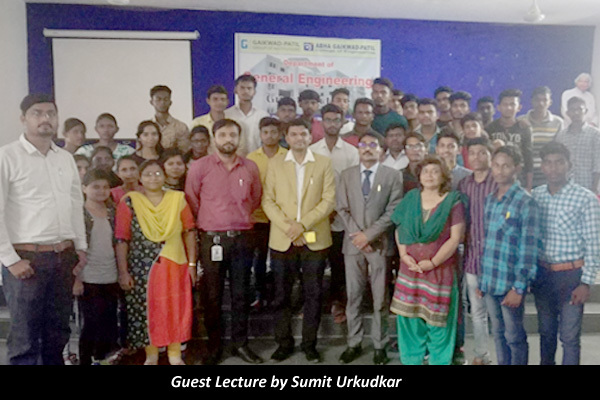 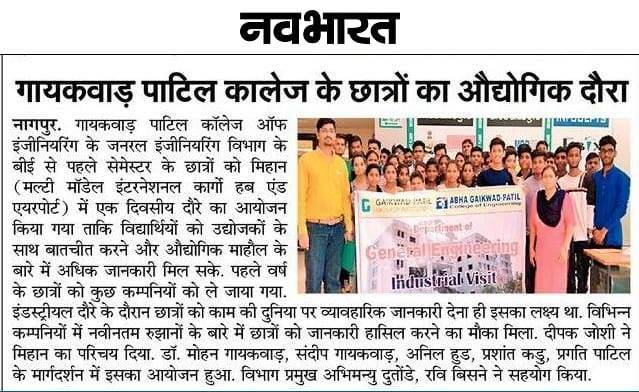 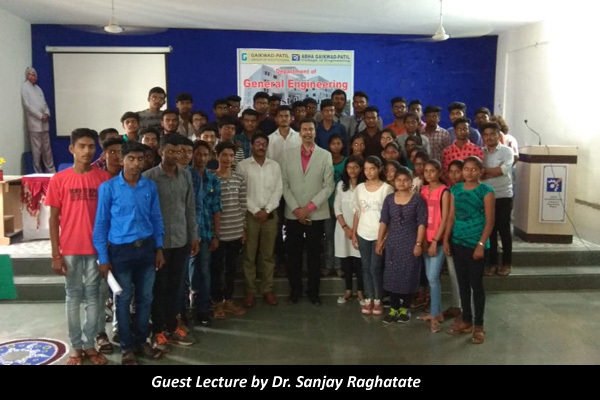 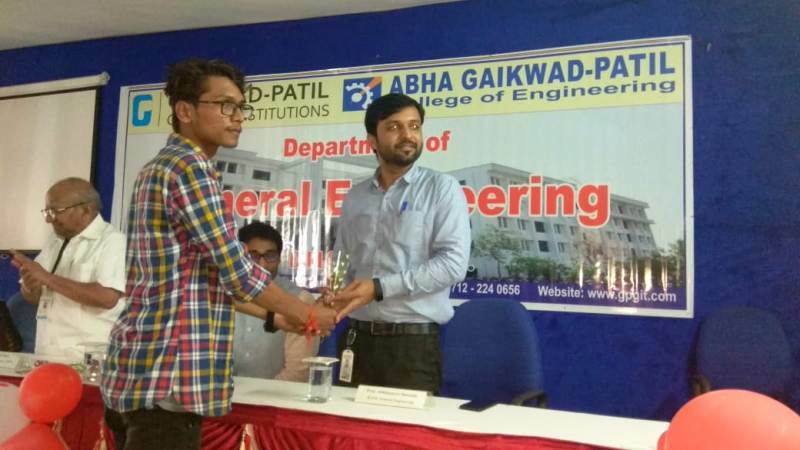 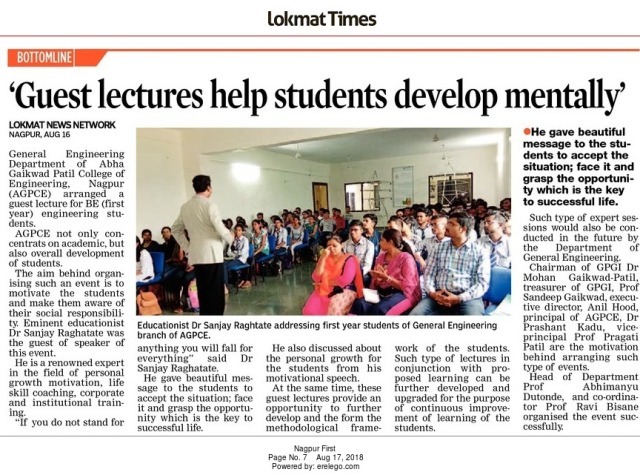 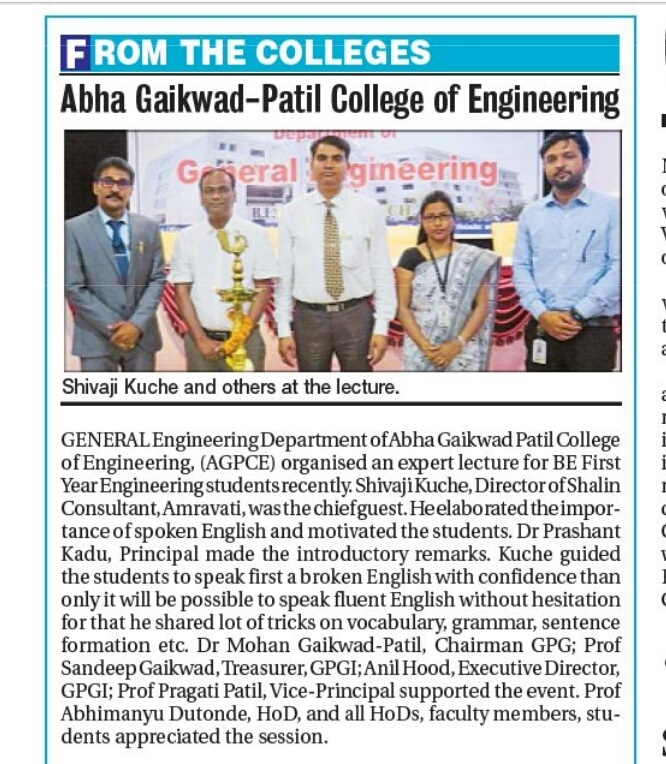 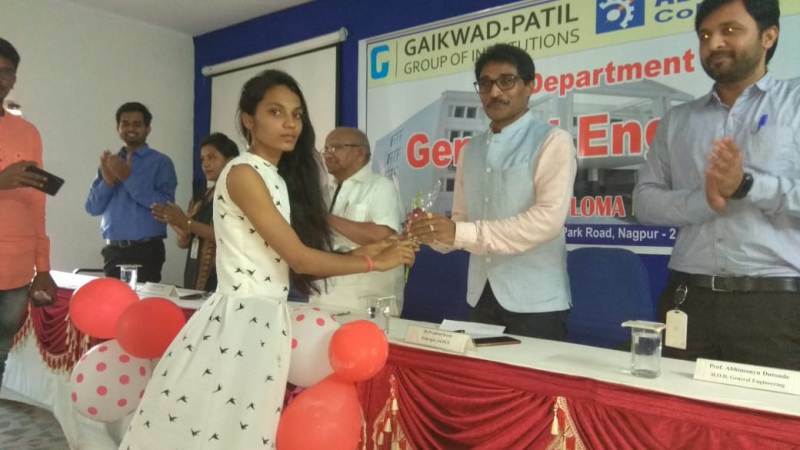 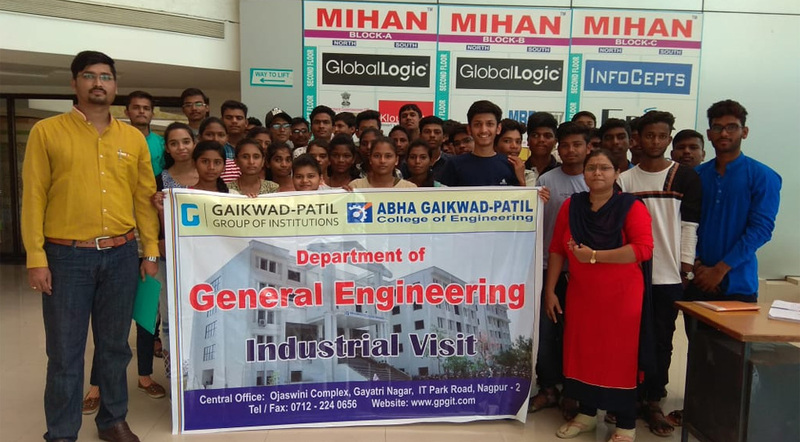 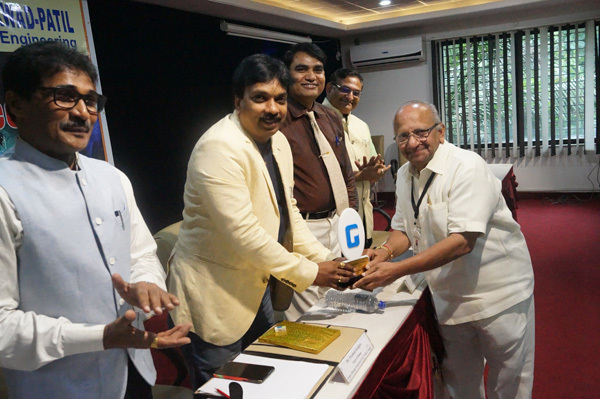 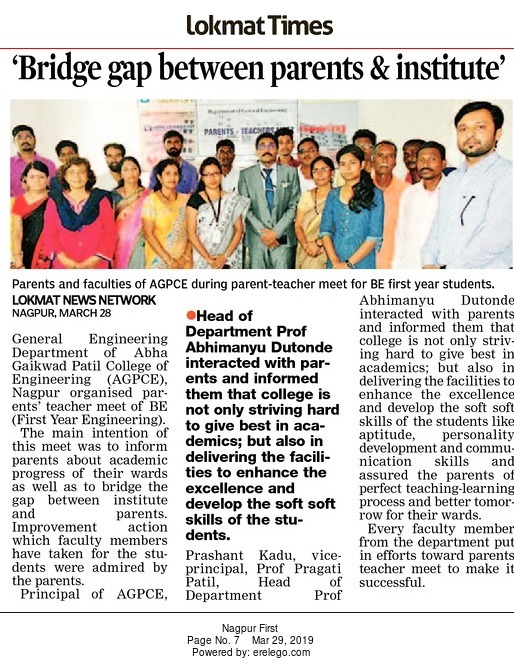 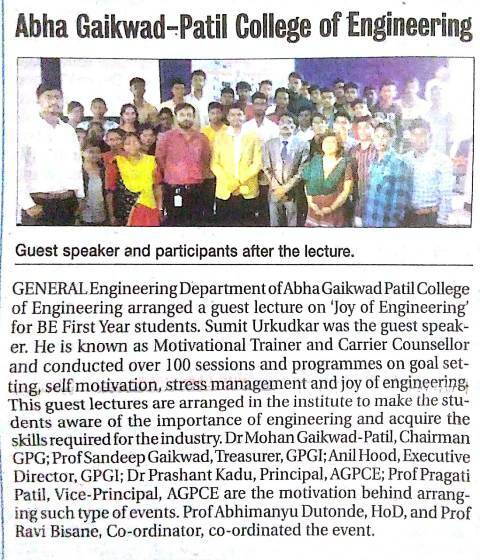 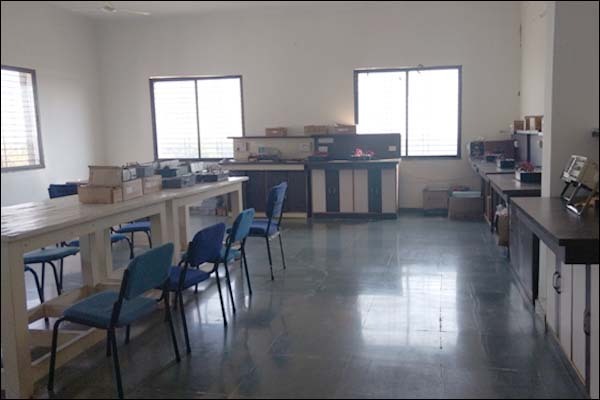 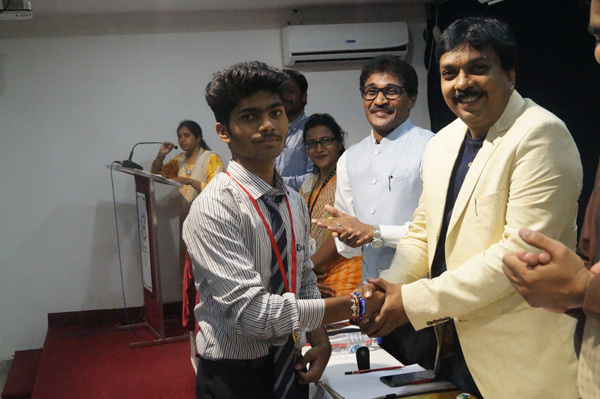 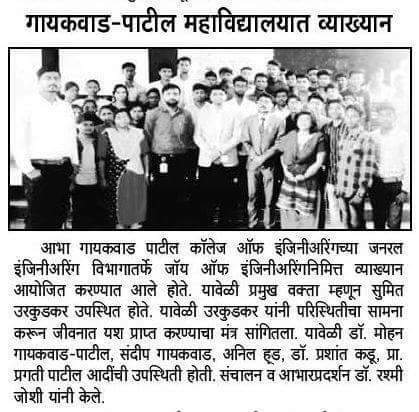 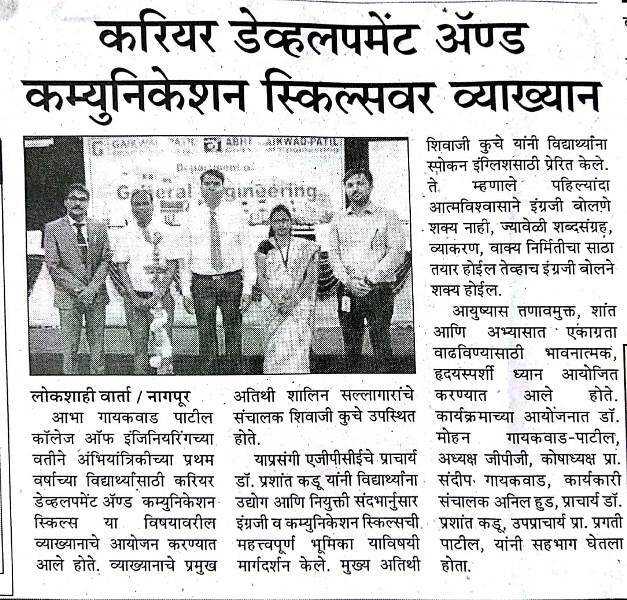 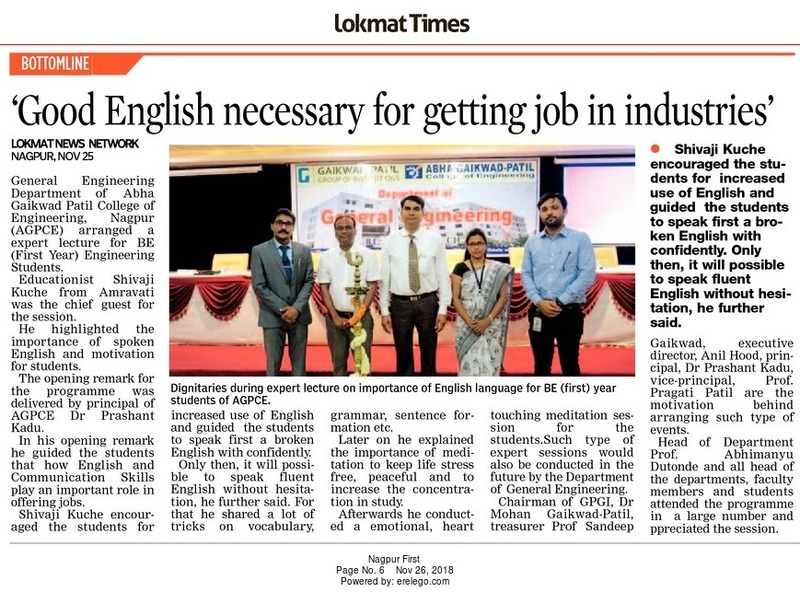 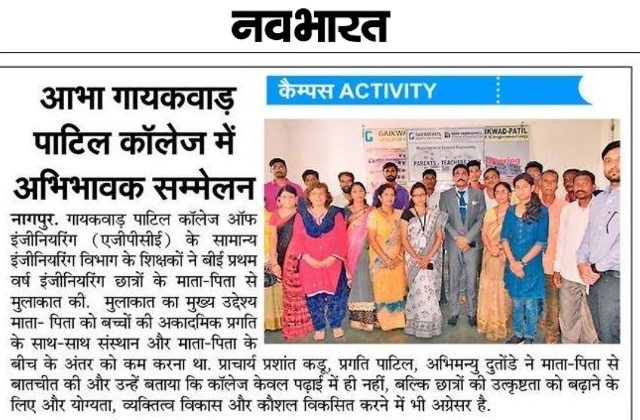 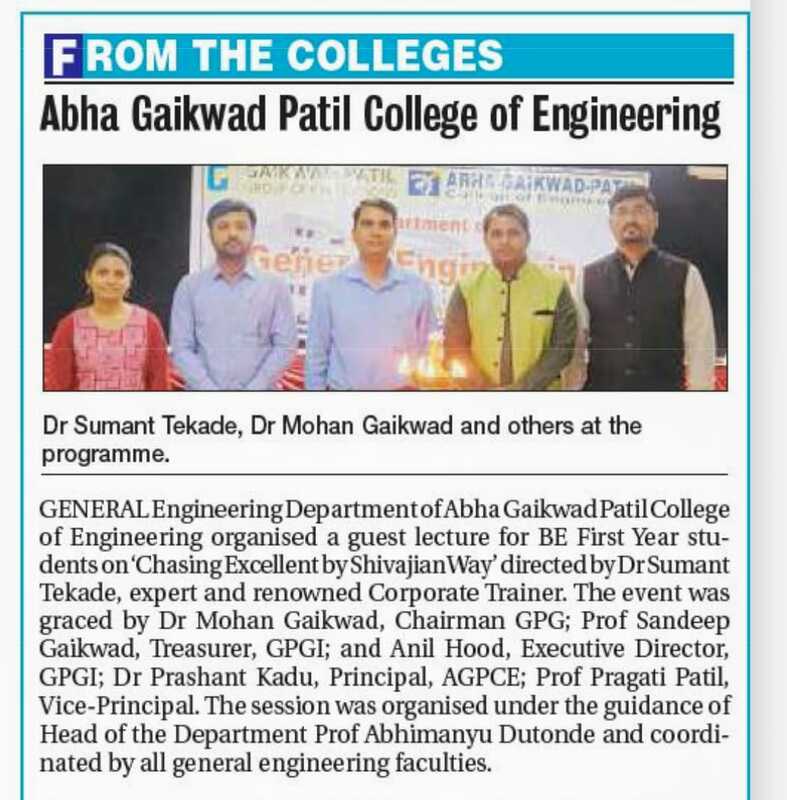 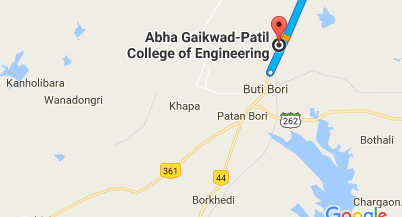 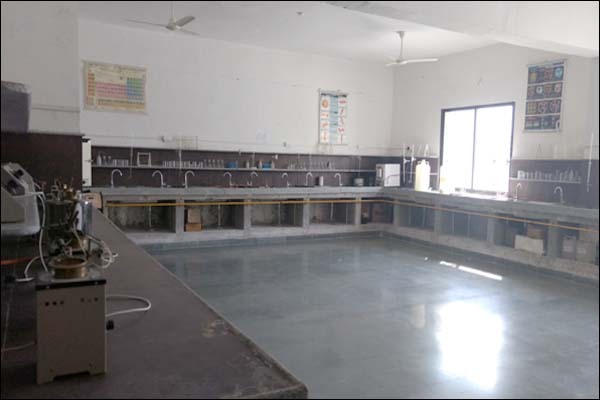 Abha Gaikwad-Patil College of Engineering Constantly strives to meet the expectations of student who step into its corridors, with the aspiration to become the technocrats the world wants. 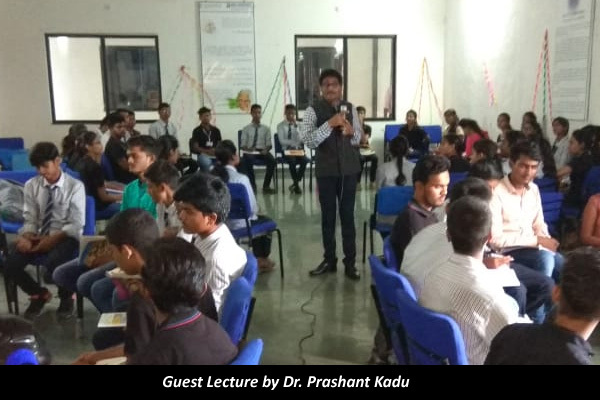 The First year focuses on sound grounding in the basics of sciences and humanities, with emphasis on application based knowledge. 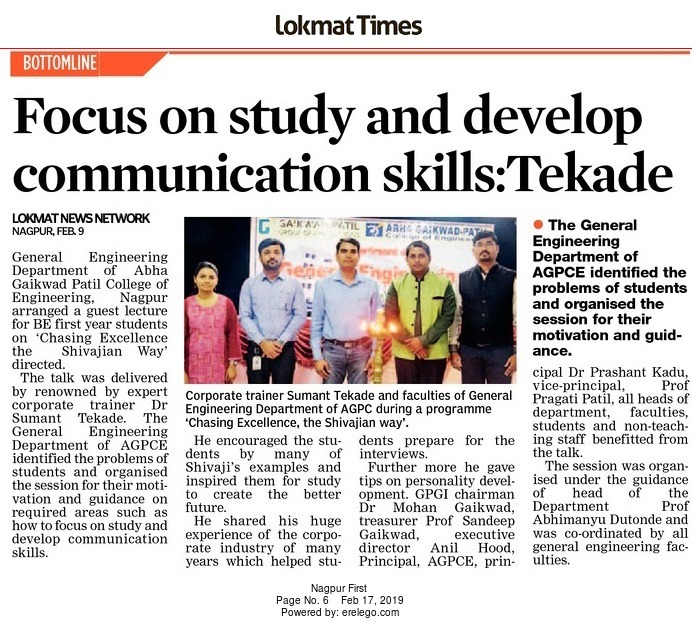 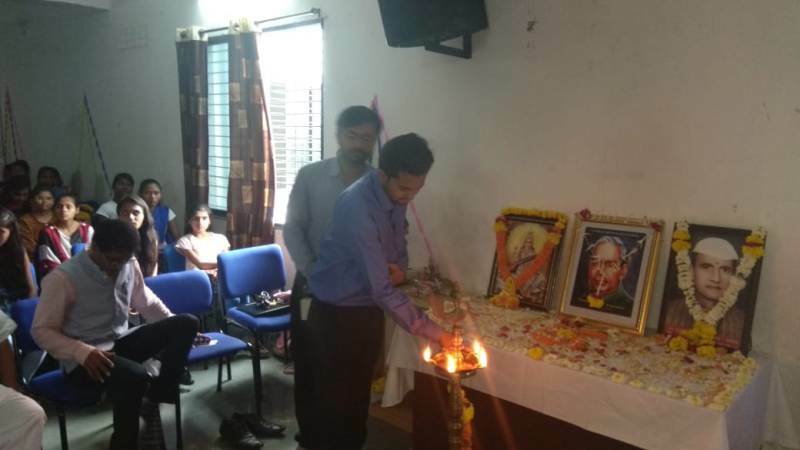 Apart from Faculty members who are always ready to help, senior student who have excelled in academics take up the role of mentors and academics advisors. 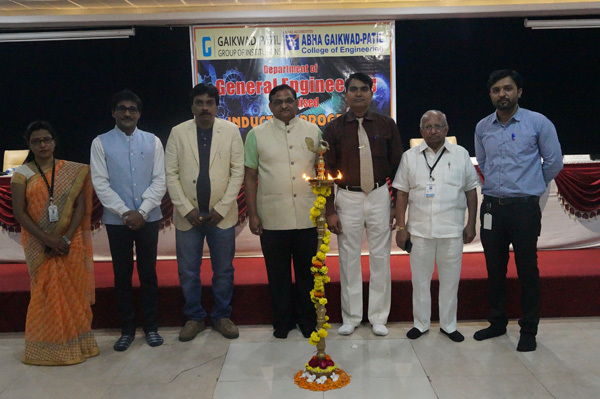 The Department of General Engineeringwas set up in the year 2009 with an admission of 520, the point of giving comprehensive innovation instruction to Students and accordingly making mindful graduates who might add to the improvement of their families, society and country. 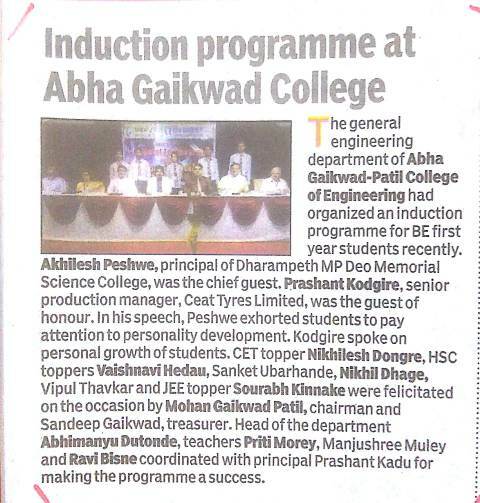 The objective is to impart value based quality education by combining academics with exposure to industry. 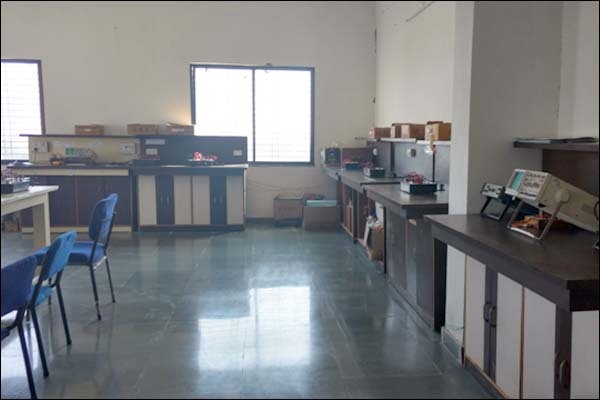 With this view in mind it provides state-of-the art infrastructure facilities & academic resources to its students.